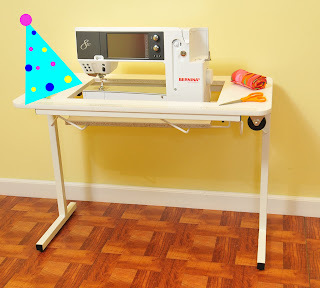 Arrow Sewing Cabinets: Our Leap Day Winners! Congratulations to you both....so lucky! Enjoy for me. Even though I was not a winner, enjoy and use. Yep!! I agree with Coloradolady, I can hear you screaming with hoy. Congratulations to both! I keep hoping to win. I can hear you "happy feet" dance from here, too! Congrats & enjoy!! Congrats to winners let's keep going I want to join the winners. If not my son is making me a cabinet from woodworker's plans and purchased lift. Thank you so much! I cannot wait! I completely appreciate this! You seriously have no idea! Congratulations, ladies! You will love it! Congratulations ladies! Enjoy your new tables. Thank you! I am so excited, this is great! And what a wonderful surprise as tomorrow is my birthday!